It’s a writer’s hazard. There are occasions where you come across an item so inspiring and the words simply flow. Other times, a product so astounding, you’re simply at a loss for words. 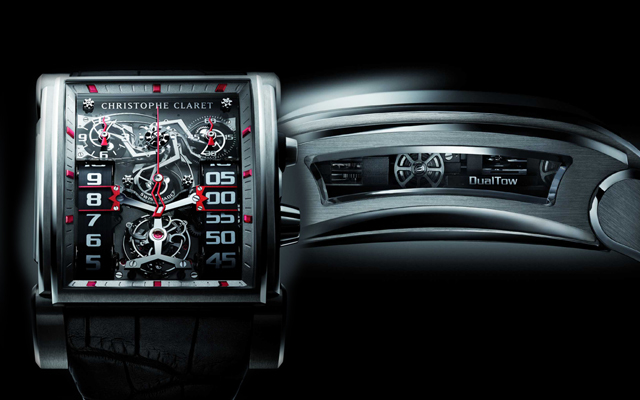 The DualTow by Christophe Claret falls in the latter. 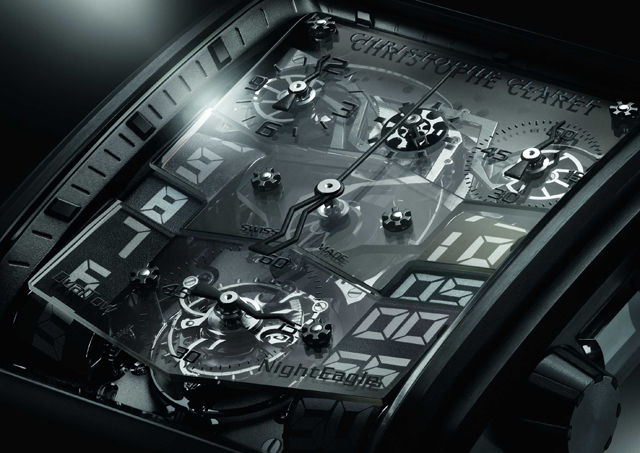 Based in Le Locle, Christophe Claret SA is known for creating ultra-luxe, ultra-complex and ultra-exclusive timepieces. Celebrating their twenty years in watchmaking, the Manufacutre has created one of their most complicated watches in history- the DualTow. In 2009, Christophe Claret SA celebrated their jubilee year with a milestone product- a luxurious watch, one that would house several inventions including their patented single-pusher planetary-gear chronograph with striking mechanism and tourbillion. A year later at Baselworld 2010, this high end complication was reborn with a new face that exposed the inner workings of the DualTow. It was christened: NightEagle. As the first Grande Complication watch bearing the name of Christophe Claret, the timepiece not only defines luxury watchmaking but also embodies the founding principles of the Manufacture. Driven by a Calibre CC20A movement, the mechanical hand-wound single-pusher planetary-gear chronograph movement is endowed with a tourbillon and striking mechanism. It’s haute horlogerie so unique that a patent was filed to protect its revolutionary chronograph; so rare that it is available in a limited edition production comprised of 68 watches- each unique and customisable to the owner’s choice of colours. Crystal caseback in the highly unlikely event where you got bored looking at the dials. I’ve been covering watches for a while now and I’ve never seen anything like this before. Rather than using hands or turning dials, the watch uses rubber belts to tell time and if you’re wondering where the “excavator inspired” aspect of the DualTow name comes in- it’s the two belts constantly sliding to show time- Amazing. Before I continue to gush, I feel that a rubber belt system though innovative might lead to short maintenance cycles akin to the fan belt on older car engines- the rubber degrades, loosens and then requires replacement. 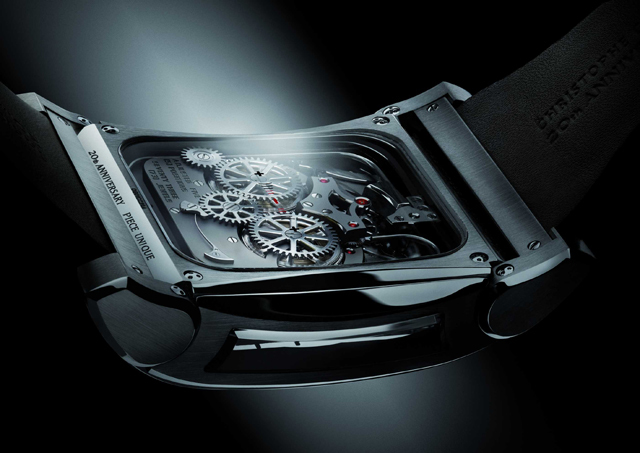 I wonder how much it costs to service a watch that costs in the half a million range. In terms of aesthetics, the attention to detail is nothing short of fantastic- the hour indices are jewels that match your selected colour theme for the watch. From movement decoration to finishing, owners can choose from titanium, rose gold and platinum cases, and then select from a wide range of exclusive finishes and colour options. That's no watch. It's a time machine. A horological breakthrough. A technical marvel. In many other watches, the tourbillion is typically the most complex feature within the movement, on the DualTow, it might appear so as it “floats” on the sapphire crystal dial seemingly without support; but to me, the complication lies in the planetary gear system that controls the chronograph. Many connoisseurs will agree the most complicated movements are minute repeaters. So what do you call a watch that not only “chimes” like a minute repeater when you press the pusher but also activates the chronograph? I don’t think there’s been a word invented yet to describe this extreme complication.